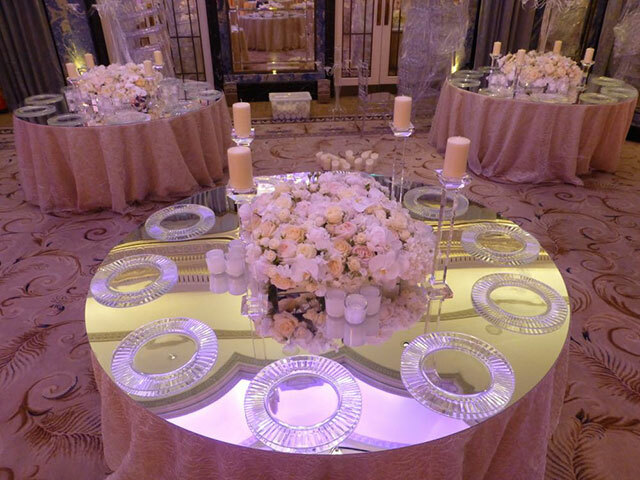 Wow your guests with mirror table tops that instantly create a larger room, they elongate your table centres and really create a beautiful setup for your big day. No need for a small circle mirror for your table centrepieces just go big and cover the entire table! Add our layered backdrops and thrones for the ultimate unique wow factor.